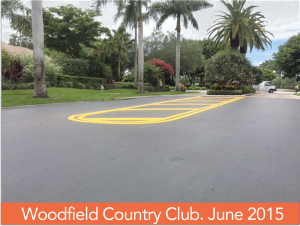 Line Design Solutions, LLC has a team of Pavement Marking / Parking Lot Striping professionals with combined experience of more than 50 years in and around the parking lot maintenance business. As parking lot striping contractors, we provide our services to pavement contractors, property management companies, private commercial property owners, as well as municipalities and large corporate chains. Our combined years of experience and unique application process in the parking lot striping business, is proven to provide our clients with cleaner, brighter, and safer parking lots, with longer lasting results. The benefits of these results can help ensure a good experience for visitors, as well as a great return on investment. Keep us in mind for your next project. Feel free to call us at 844-44-LINES or contact us for a free quote.